The 1911 census records the family of Charles and Ellen Rebecca Richardson living at 32 Sixth Avenue, Forest Town, Mansfield. Charles is a coal miner hewer, son Ernest (15) is a colliery pony driver, son Alick (13) is a colliery errand boy, son George Wiliam (10) is at school and Frances Ellen is aged just 3. Father and sons are believed to have worked at Mansfield (Crown Farm) Colliery. Ernest Richardson enlisted on September in the 4/8th Battalion Sherwood Foresters 9th 1914. He answered the call at a big recruitment meeting held at Forest Town and trained at Newark, Harpenden, and Baintree before leaving for France on 25th February 1915, he went into the trenches for the first time on Palm Sunday. Sadly he was to make the supreme sacrifice, he fell victim to a rifle grenade form the enemy on July 20th. Ernest Richardson (E Richardson) is commemorated at St Alban’s Church Forest Town both on the War Memorial inside the church and the cenotaph outside. Private E Richardson ‘D’ Coy. 1st/8th Bn., Sherwood Foresters (Notts & Derby Regt.) who died aged 20 on Tuesday, 20th July 1915……Remembered with honour Sanctuary Wood Cemetery, Zillebreke, IIper, West-Vlaanderen, Belgium. ‘Forest Town Lad Wounded in the “Great Push” – [this was Alick Richardson]. 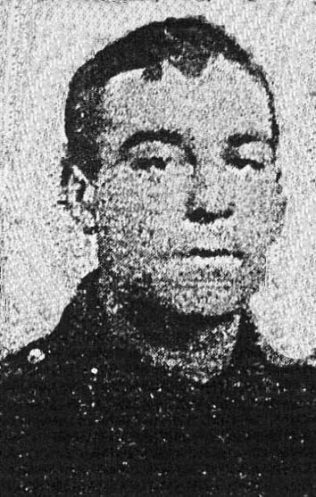 Amongst those who left the trenches at dawn on July 1st to help fling back the Germans from their so-called impregnable position was Lance-Corporal A Richardson, second son of Mr and Mrs Chas. 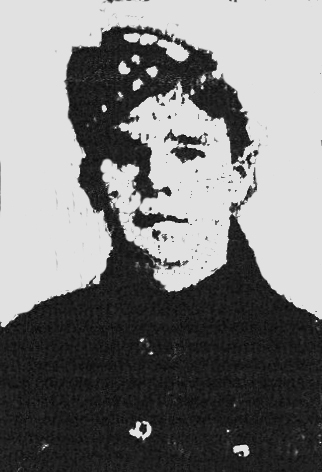 Richardson of 6th Avenue Forest Town, who was with a bombing party, and had reached a position between Fricourt and Montaubau, when he received a severe wound from a machine gun. The bullet entered the centre of his chest and emerging near the bottom corner of his left pocket. Luckily the bullet did not strike any vital part and he was sent to hospital and conveyed to England on one of the New Zealand hospital boats which was undertaking her first voyage with wounded across the channel, and was landed at Southampton on July 5th, afterwards being sent to Birmingham First Southern Hospital, where he progressed favourably and has now been sent to hospital at Blackpool. His father has visited him both at Birmingham and Blackpool and has found him very cheerful. At the time he was wounded he was in sole charge of the section all his officers having been wounded, and his only regret is that he was unable to reach the village with his section.